Russian airlines collectively carried some 10 million passengers in October, once again achieving a double-digit growth in operational performances, Rusavia Insider reports. Total traffic jumped 12.4% compared to October last year, with the domestic segment growing slightly slower at 11.3% to 5.7 million passengers, while international traffic grew slightly faster at 13.8% to 4.3 million, the website reported citing official data. Behind Russia’s flag carrier Aeroflot, S7 Airlines once again claimed the second spot ahead of its rival, Aeroflot subsidiary Rossiya Airlines, which had most passengers in September. Siberia-based S7 continues to grow at a record rate. In the first 10 months it carried 10 million passengers, up 18.1% compared to the same time last year. 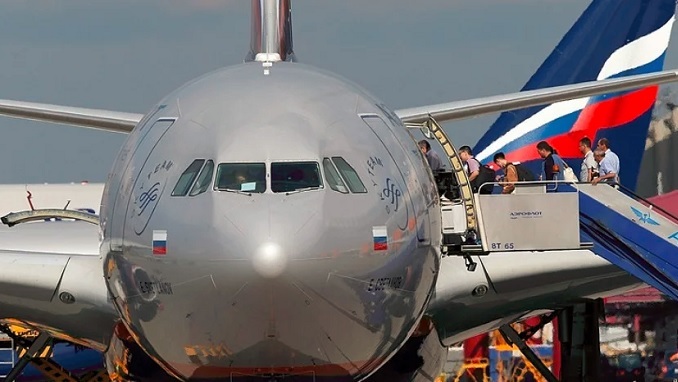 Aeroflot retained its position as market leader with 29.9 million passengers, up eight per cent, while the fourth and fifth places remain occupied by Ural Airlines (7.8 million passengers, up by 13.8%) and Utair (6.4 million passengers, up 5.3%). Rossiya Airlines was the only one in the top-five Russian air carriers to see a traffic decline in October – by 0.4% to 9.9 million passengers. Cargo traffic slid by 0.2% for the first time since March, to 107,200 tons, although it is generally above its peak 8.6 per cent growth registered in January. Freight traffic between Russia and the CIS picked up by 9.4% to 2,400 tons, continuing the trend set by September’s 13.9% growth in that sector. The freight sector’s undisputed market leader is AirBridgeCargo (Volga-Dnepr Group), which transported 482,100 tons, up 3.5%.